Funeral services for Mr. Donald R. Bates age 69, of Americus, Georgia will be held on Friday, September 9, 2016 at 10:00 A.M. at United Holiness Church on Aaron Snipes Dr. Americus, GA with Bishop Arthur Fulton officiating. Burial will follow on Monday, September 12, 2016 at 10:00 A.M. at the Andersonville National Cemetery. Donald Ramon Bates was born on January 14, 1947 in Marietta, Georgia to the parentage of Clarence Sr. and Katherine Elizabeth Bates. Donald transitioned peacefully to his heavenly home surrounded by his devoted wife and other loved ones on Saturday, September 3, 2016. He is preceded in death by his parents and siblings, Essie Word, Evelyn Kilgore, Hattie Emma Bates and Leroy Bates and a daughter Shana Baker. He graduated from Lincoln University, Jefferson City, MO with a B.S. in Physical Health and Education. Donald was a Life-Time member of Kappa Alpha Psi Fraternity. He entered the U.S. Army upon graduating from Lincoln as a 2nd Lt. in Military Intelligence and served in Vietnam where he was awarded several medals. He was honorably discharged from the Army as a Captain. He was employed for 20 years at Procter and Gamble and 14 years at Tara Foods (Kroger). He was also Human Resource Consultant with Cello-Foil Corporation, Albany, Georgia. Donald was a loving husband and a father of five. 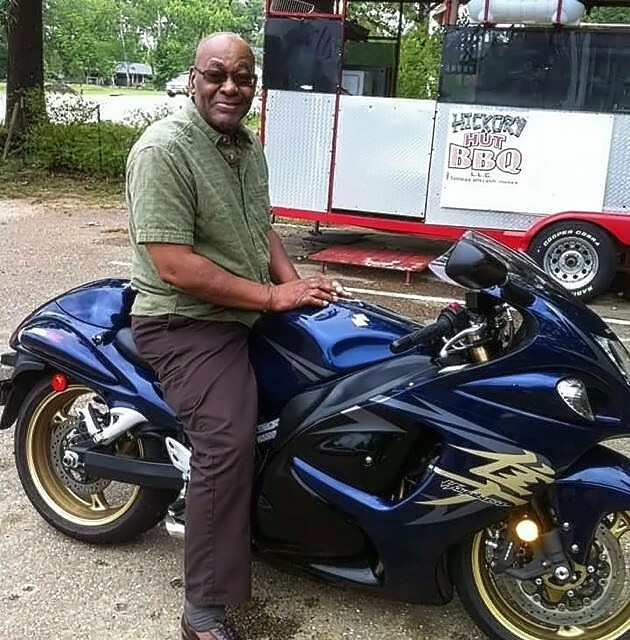 He leaves to cherish his memories, a devoted wife of 24 years, Aretha Sanders Bates of Americus, GA; two sons: Anthony Bates of Memphis, TN and Marcell Baker (Nadia) of Americus, GA; two daughters: April Raines (Gabriel) of Newnan, GA and Amber Bates of Jonesboro, LA; his siblings: Delores Miller of Detroit, MI, Randy Bates of Ft. Lauderdale, FL and Clarence (Mary) Bates, Jr. of Marietta, GA. Also surviving are brothers and sisters-in-law and their spouses, Robert (Lynette) Sanders, Jr. of Americus, GA, M. Margaret Bates of Ft. Lauderdale, FL, Martha (Frank) Townsley & Mary (Albert) Mack of Miami, FL, Mattie (Ret. Presiding Elder M.S.) Colquitt, Alma (S.T.) Solomon & Katie Ruth Watts all of Americus, GA; Lillie Ruth McCoy, Bobbie Jean (Nathaniel) Armstrong & Lorene Sanders, Atlanta, GA; six grandchildren and a host of nieces, nephews, cousins and other relatives and friends. The family will receive friends at the funeral home on Thursday, September 8, 2016 from 6 to 7 P.M. I pray that God will provide the family with strength, comfort and peace during this time. As a brother of Kappa Alpha Psi Fraternity, Inc., I mourn with the family. May God continue to bless you. I want to offer my condolences to the Bates family and friends. It is a painful thing to lose a love one in death and it pains our creator and he has promise to bring our love one back to life. At Hosea 13:14 our Creator says “From the power of the Grave I will redeem them; From death I will recover them” then "he will swallow up death forever …"(Isaiah 25:8). I hope these words give you comfort.